Customizing WordPress admin dashboard is easy job if you are aware of where exactly the feature is available in the menu. Sometime you will be lost with the vast options and really get panic to revert back simple display options. Especially if you are new to WordPress it will take quite sometime to get acquainted with the menus and sub-menus. 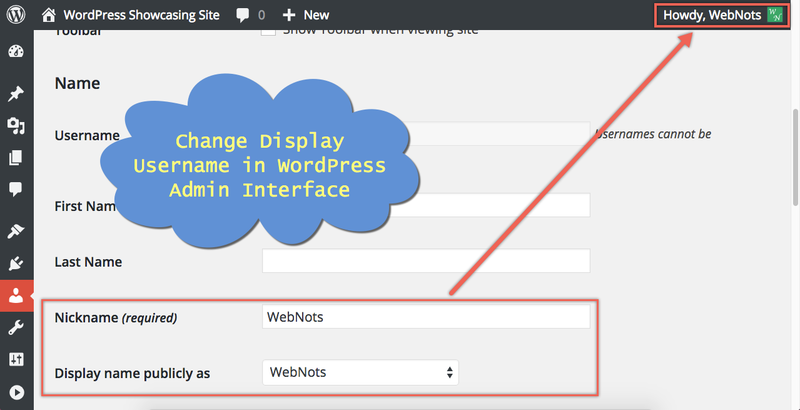 Here we discuss 6 tricks for customizing WordPress admin panel interface. If you do not like the default color scheme, navigate to “Users > Your Profile > Admin Color Scheme” and select the scheme you like. For example, if you work on night times it is better to choose “Midnight” scheme. Whenever you login to admin screen and view your site on another browser window, there will be an admin bar visible on top of the site. You can disable this admin bar by unchecking the option “Show Toolbar when viewing site” under “Users > Your Profile > Toolbar”. If you wonder where is the “Visual” tab disappeared in the post editor then the answer is that you might have disabled it unknowingly. Enable the “Visual” editor again by selecting the checkbox “Disable the visual editor when writing” available under “Users > Your Profile > Visual Editor”. Your login username is shown in the top right corner like “Howdy Username”. You can change the display name other than login name by adding nickname and choosing that nickname from “Display name publicly as” dropdown under “Users > Your Profile > Name”. 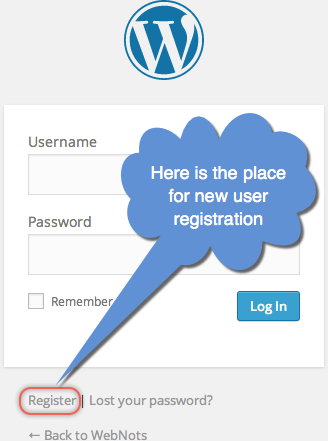 WordPress admin login page by default will have a link to forget password and registration. This registration option allows anyone to register without your permission and your mailbox will be flooded with new user registration emails. Most of registrations are from automatic bots targeting to hack your site. To avoid this you can simply remove the registration link by unchecking the option “Anyone can register” under “Settings > General > Membership”. Screen options allow you to show or hide the items available in the display area corresponding to the chosen menu. 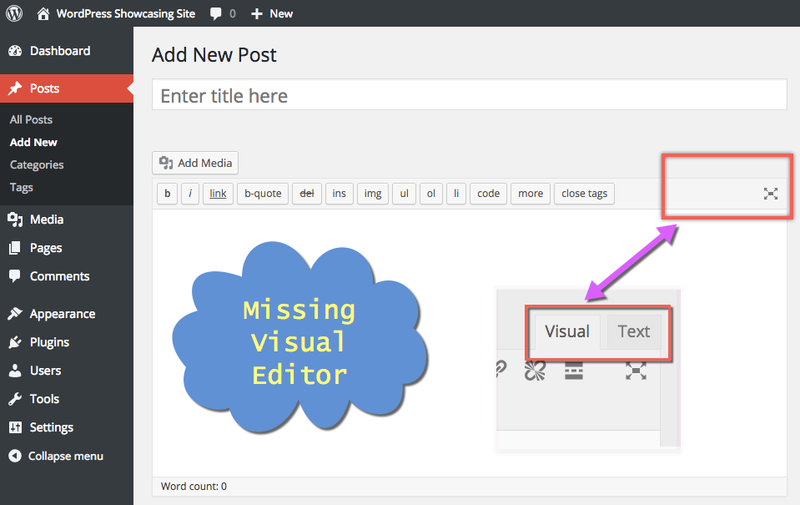 Below is the screen options shown in WordPress visual editor. Collapse menu is the last available option in the menu section allows you to expand or collapse the menu panel to adjust the display area width.